Manchester United are reportedly considering a big-money transfer swoop for Juventus forward Paulo Dybala if Romelu Lukaku ends up leaving this summer. The Belgium international is not having his most convincing season in the Premier League and it makes sense that the Red Devils might be keen to replace him. Were Lukaku to leave, it could be that that would open the door for some big spending up front for United as the Sun link them with a potential £120million swoop for Dybala. 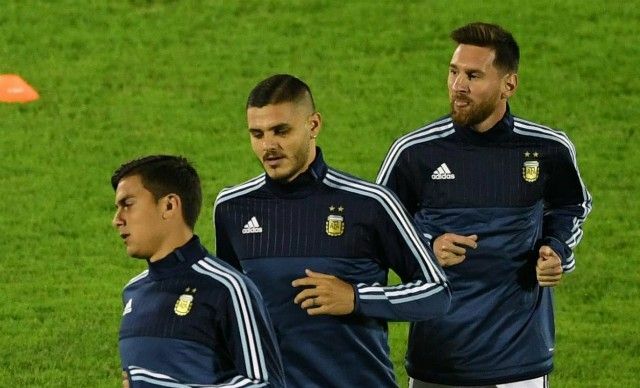 The Argentina international has shown his quality in Serie A down the years and could also do well in England if he fancies a new challenge. Although not necessarily a direct replacement for Lukaku, Dybala could also be a useful signing to push flop Alexis Sanchez out of the side, allowing Marcus Rashford to establish himself as first-choice at centre-forward. Paulo Dybala to Manchester United transfer if Romelu Lukaku leaves? Either way, this would no doubt be an expensive move, but probably a worthwhile one for MUFC ahead of next season. United will need to spend and make changes to this squad if they are to close the gap on Manchester City and become genuine title contenders once again.